Bir KULLANILAN arıyorsunuz DC800J-MH ? 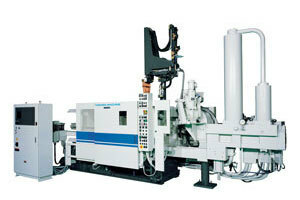 Toshiba Machine’s J-MH line ranges from 250 to 800 tons clamping force and is equipped with a servo valve injection system providing injection speeds capable of injecting almost any type of casting material before solidification. Yeni satın almak isteyen TOSHIBA DC800J-MH ?